Small-town police chief Maxine "Max" Benson is just settling into her new life when her ex appears on the scene. Apparently, he and his new young lover just happen to be visiting her area on holiday. Max left her marriage and the Toronto police to become chief in Port Ainslie, where she runs a three-person department with few problems and enjoys a different pace of life. That's all about to change when Max's ex-husband is accused of killing his young lover right in Max's own backyard. It seems that only Max's superior detection abilities can save him from an almost certain conviction. This is the third book in the Maxine Benson mystery series. "Plucky Maxine Benson is an engaging and triumphant character. 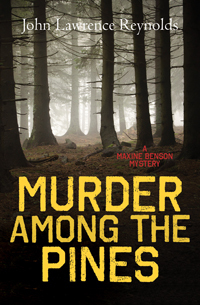 I welcome even more of these Maxine Benson Mysteries. Highly Recommended." "Reynolds provides a neat primer on how to solve a crime in double-quick time." See the full list of Rapid Reads.